I've definitely learned a few things throughout the time I've been writing this blog (admittedly from making huge mistakes, and thinking uh-oh, how do I fix this?!) 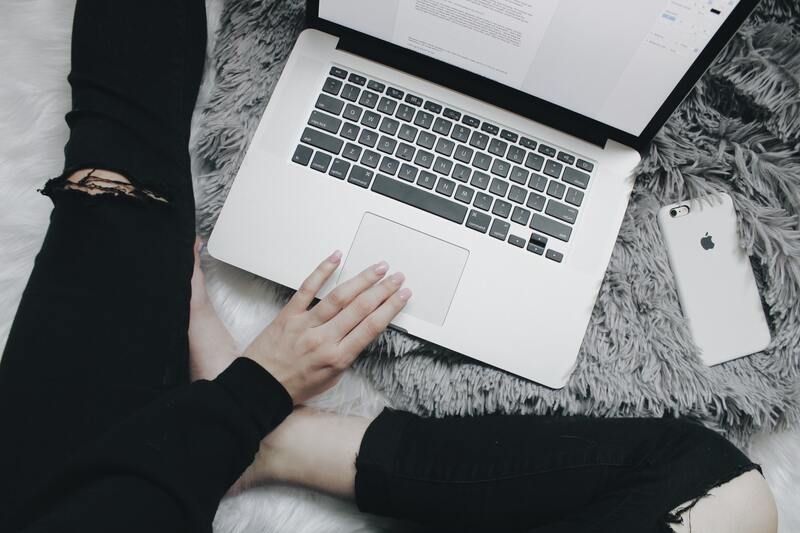 When you're a newer blogger it can all be so complicated and confusing, and it can take a long time to get used to all of the things that come along with running a blog: design, blogging etiquette, promotion and social media. I thought I'd share my opinion on a few aspects of blogging and building a blog, as I know it took me forever to work out when I first started out. I'd like to add that nothing in this post is an affiliate link; I've only linked to other sources that I genuinely think are useful, and to tutorials that can explain things better than I can. The first thing you'll probably want to do when you first set up your blog account is mess around with how it looks. After all, a blog is a personal piece of the internet that belongs to you, and so a design that reflects you and what your blog is about is important. Blogger has made it really easy to change many aspects of your layout and design without the need for html coding knowledge, although there are a few simple tweaks you can make to your coding to make your blog that bit more personal if you prefer. To begin with simply go to 'template' and then 'customise' from your blogger dashboard to access a range of customisation options. Personally I think the 'Simple' template (in Blogger template designer) is by far the best to build from. There's no complicated boxes and overall everything just seems to flow much better. In template designer you can also choose 'layout' again this is personal preference but I think one column on the right hand side looks best (like I've done on this blog). I used to have a crazy complicated header and background and a sidebar column either side- looking back it must have been a total disaster. I love decorating and personalising things, but it's easy to go overboard. My advice is keep it fairly simple, when there's too much going on all over the place on the page it's overwhelming. If you want to go a notch above Blogger's standard text as your blog header, I highly recommend familiarising yourself with the site Picmonkey.com. Most features are free to use (you can sign up for 'premium' for more features although you really don't need to) and there's nothing to install. I explain how to create your own header in THIS post. I recommend all blogs have an 'about me' page so that people can find out a bit more about the blogger if they want to. But in addition to that, I think a picture of you in your sidebar with maybe a short introductory paragraph makes a blog much more personal, most people like to see who the author is when they click onto a blog. You can go with Blogger's standard 'profile' widget to do this, or create something yourself with a larger image using Picmonkey or Photoshop. Start off by going to 'pages' in the drop down bar from your Blogger dashboard. Create the pages you'd like your navigation bar to include, for example an 'about me' page, a 'contact' page etc. Make sure you click publish when you're done- (note that this will not make the page show up as a blog post). Once you're done, go back to the 'pages' menu and above what you've just published make sure the drop down bar isn't set to 'don't show.' If it is, click on it and set it to 'top tabs.' Now go to 'layout' and underneath where your header is click 'add a gadget' and select 'pages'. To make your navigation bar sit central under your header, check out this tutorial here. The second way to add a navigation bar (and the way I've done it on this blog) is to use image maps to make your blog header clickable. An image map is an image that has different clickable areas, for example you can see above that my header has clickable areas for 'home' 'contact' etc. I think this method looks much more professional, although you'll need to make some minor tweaks to your blog's html. To begin with you'll need to upload your header to an image hosting site-I use Photobucket.com-and copy the 'direct url'- then go to image-maps.com and enter the direct url link (never upload images directly to image-maps.com, they always eventually delete the images they host which leaves you with a blank space where your header used to be. Installing an image map as your blog header is explained in this tutorial here. I know this annoys other bloggers as well as myself, I see it quite regularly posted onto Twitter as well as actual blog posts made just about this. Word verification is the annoying Captcha thing that you have to type in to comment on posts. The chances are, the only people who are really going to be commenting on your posts are other beauty bloggers and not 'robots.' I'm sure there are the occasional spam links that are annoyingly posted, but for the most part comments to your blog are likely to be lovely messages or questions from other bloggers and so in my opinion this feature really isn't needed. I'd say that it's likely you will be checking and replying to comments regularly anyway, if there was a situation when this unlikely event happened you could easily remove it anyway. Set your Google Plus profile to Public. If your Google Plus profile it set to private or limited, people won't be able to access your blog link through their followers widget. Set it all to public, just don't put any personal information such as phone numbers or work information on there and keep it related to your blog. Add your blog, Bloglovin and Twitter information to your Google Plus profile too as well as your blog's email address so everything is accessible- do this by clicking on 'contributor to' on your Google plus profile and filling it in. You'll also need to turn off 'Auto Enhance' in Google Plus. This is an annoying feature Google has added, it messes up the colours in your pictures and in your blog design. Turning it off is easy, it's explained here. Edit: If you found this post useful you can now check out part two, which covers blog promotion, advertising and gaining followers. I have only set up the basics so far, but I'm sure in time I will get it looking a little more professional. Wonderful post! I'm always looking for ways to become a better blogger and to make a better blog. Hi Stacey, This is an extremely informative post. I think your tips will help all bloggers not just people who are just getting started. 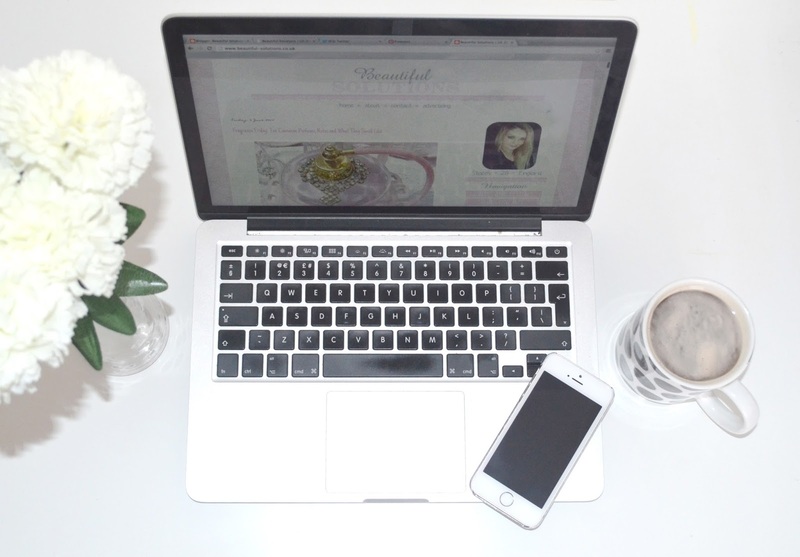 I found your blog through the bbloggers blog hop. Such a thorough and informative post, so helpful! Good tips given.All of them are really very useful.Thanks for flagging it !!! Very good information and I will have to refer back, but I did disagree with one thing - but not to say it doesn't work for you. Many of my fellow bloggers (myself included) will not publish a comment with a link as it hurts our page rank. Urls are fine. Im so proud of you. You dealt with it very well. This is so helpful! Thanks so much for this post! Ps I also really like your red lipstick post, I love red lipstick. I'm so glad I came across your blog. I'm finding this post really useful Stacey. Joining the blog hops right now! Thank you. Thanks Stacey, I've just started blogging and found this post really useful! I was just wondering if you have a tutorial about how you did your sidebar? I understand image maps etc but I don't know how to get the bloglovin' etc links in the image map, if that makes any sense. I'd really appreciate some help! another really useful post, how do you add Instagram and twitter to your blog? Those were some really great tips! You've definitely helped me with doing/starting my blog. much appreciated! one thing i do want to know though is how you put your signature at the end of the blog?! Thank you! I've been wondering how to add pages and a navigation bar! Hey Stacey, I followed your guides to set up my blog but I can't seem to find out how to put multiple posts into 1 page. For example I have a Makeup page, a reviews page and it will only let me post in one big body text. How do I make each post separate so on each post people can comment?